Fabric: 2 metres of patterned and 1 metre of contrast 100% cotton fabric-45 inches wide. Pattern: I used New Look 6723. The cuffs and belt were added for impact! 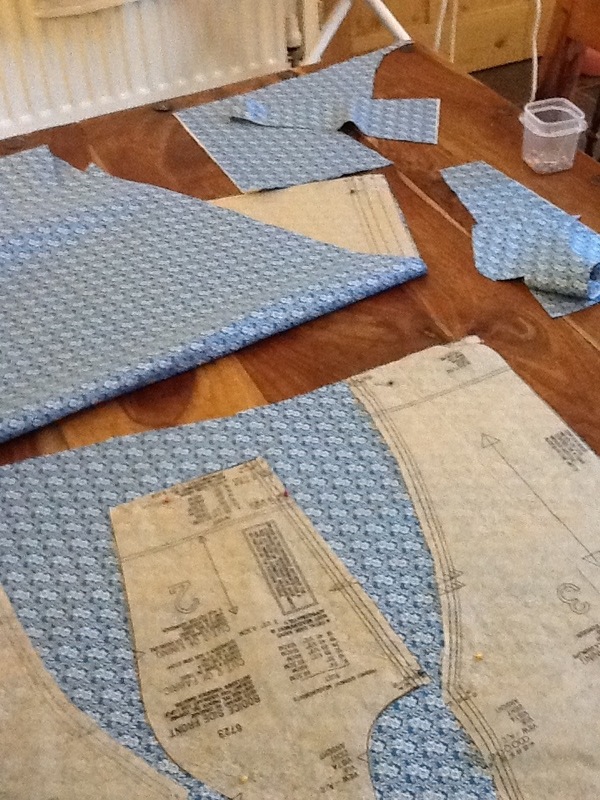 Pattern was purchased in March 2013. Time to complete: Over a weekend and a few evenings. First worn: August 18th 2013 in Scarborough, UK Wear again?- yes definitely! Have now worn it twice and I loved wearing it. Total Cost: £19 GBP I knew as soon as I went in the fabric shop which Pantone colour I wanted to choose! I had an idea in my head of what I wanted the dress to look like and decided on the New Look 6723. 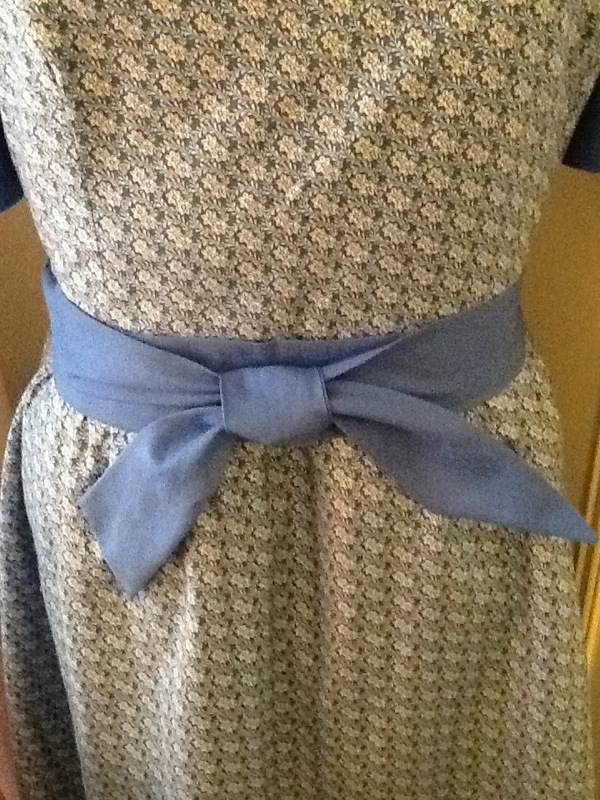 Using this pattern meant that I could adapt it to add some contrast in the sleeves and on the belt. 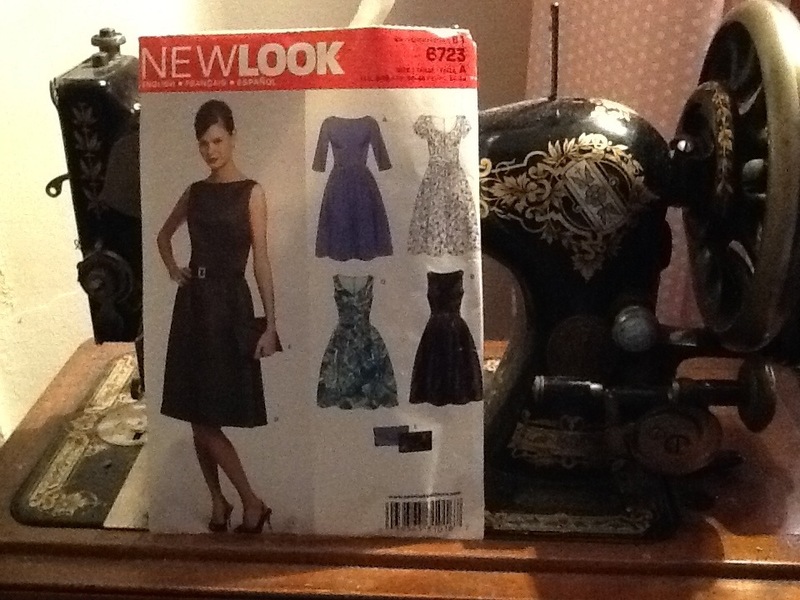 Having spent many a happy hour browsing all the fabulous creations on The Sew Weekly, I knew I had to make sure my dress was my very best work! I made sure I did lots of measuring and fitting. 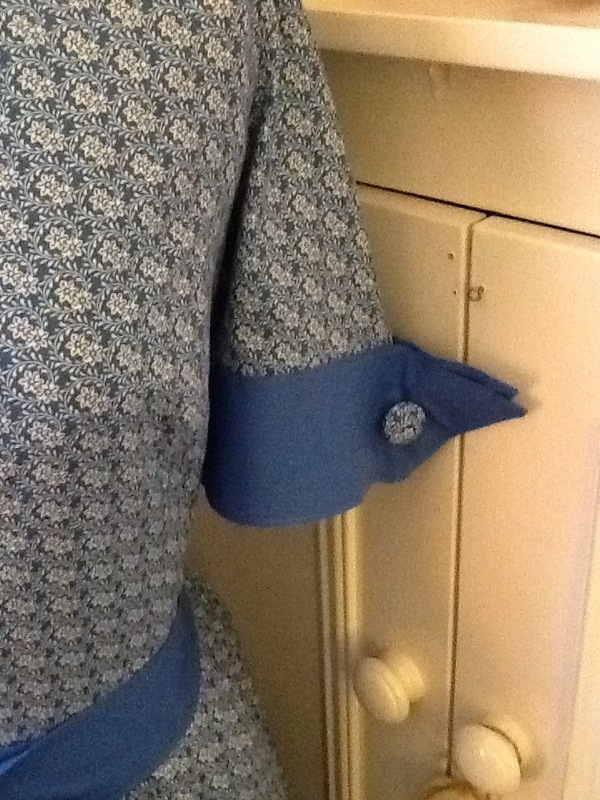 I wanted to use some buttons and decided to make a feature in the sleeves which I could add the buttons to. Having worn the dress, I think I got a little carried away with the size of the cuffs! 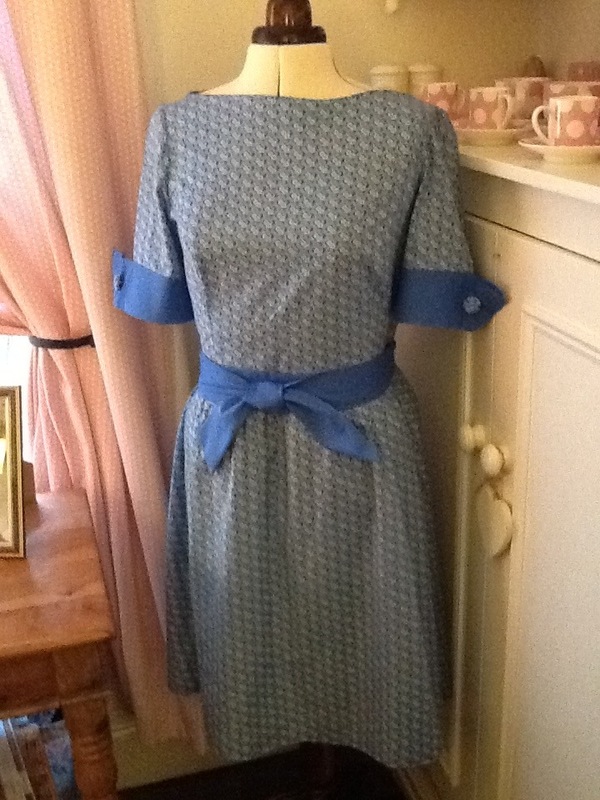 The dress fitted beautifully on The Body and I used Princess seams in the construction. I made the belt so it would wrap around me twice before tying in a knot. 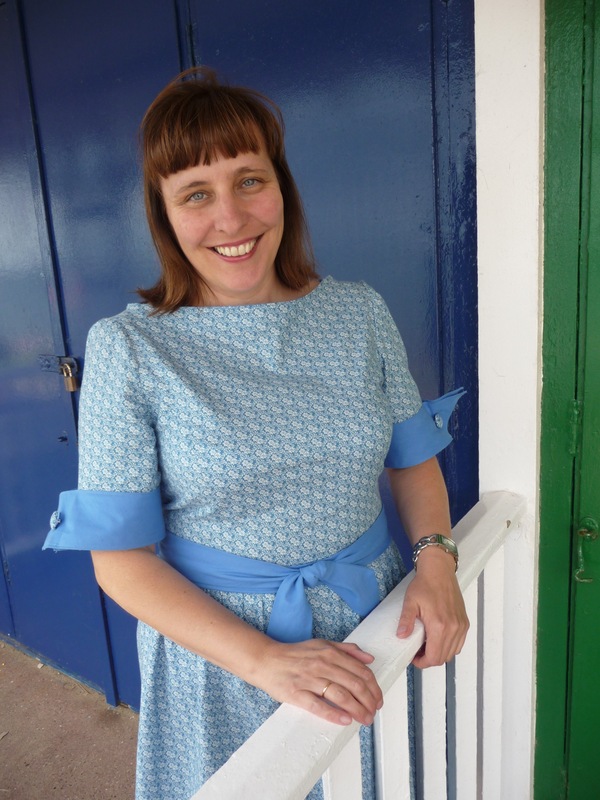 I was delighted with how my dress turned out…. For once! 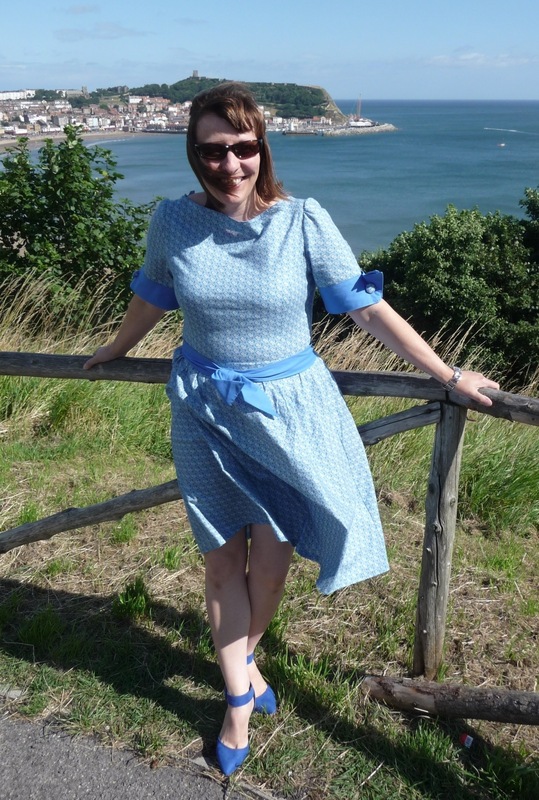 And decided it needed wearing at the British seaside on a sunny day! 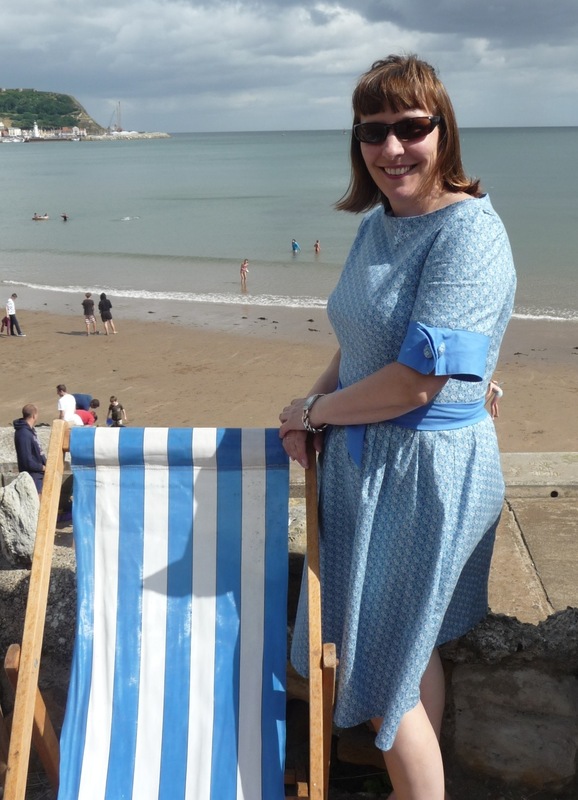 I know ……real sun at Scarborough in North Yorkshire and a quest for some blue beach huts and deck chairs! My dad was the willing camera man and my mum and daughter shouted from the sides… “Shoulders back”, ” chin up” and “stomach in”!!!!! Cheeky! It was great fun! 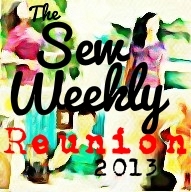 I really enjoyed being part of the Sew Weekly Reunion and I have great admiration for all of you who managed a new garment every week! My sewing has really improved in the last few months from all your tips and guidance, so thank you! Lovely dress! You picked a beautiful summery fabric, and I love the extra details you added. I’m impressed at your drafting skills. And those shoes are the *perfect* accessory. They’re everything I appreciate in a shoe- high heeled and pointy toed! Thank you! Shoes are from Next and surprisingly comfy! Charming in the bestest ways!!! From the fit, to the precious covered buttons on the sleeve cuff (such a perfect detail) right down to the tantalizing glimpse of shoes! Great dress, love all the details. Thank you! I am really pleased with it! I am even more pleased with your approval! That means alot! Thank you! I think we have a full Summer holidays of mostly good weather! Hurrah! This is gorgeous!! Nice job on those cuffs, they look very vintage. The dress is very flattering on you, I like how you trimmed the print with a solid in Mykenos blue. I am making something for the Sew Weekly Reunion as well out of Vivacious (best colour name EVER) and Lichen. Thank you! Oh! I am excited to see what you have made….yes, great names. Am going to have to go and look them up now! I woke up to lots of great comments today!